A few weeks ago, I had the honor of talking with one of my culinary heroes, Claudia Roden. 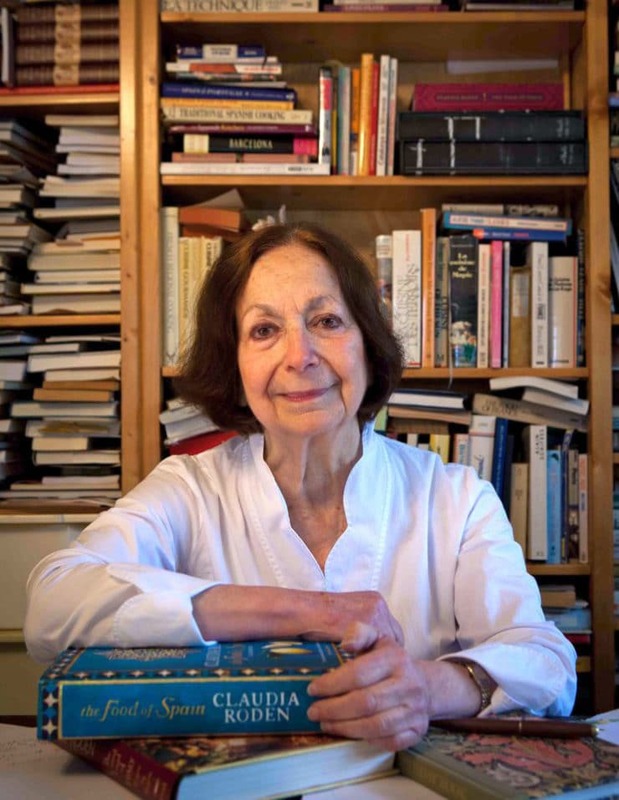 Claudia is a world-renowned culinary anthropologist and cookbook author. 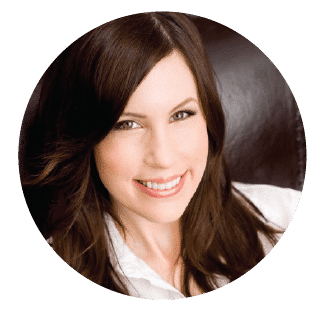 She has written several influential books, including The New Book of Middle Eastern Food, The Book of Jewish Food, and Arabesque: A Taste of Morocco, Turkey and Lebanon. A James Beard Award recipient, Claudia’s research and culinary travels have made an enormous impact on the field of food studies. Speaking with Claudia was a real privilege, and I am thrilled to share our interview with you. 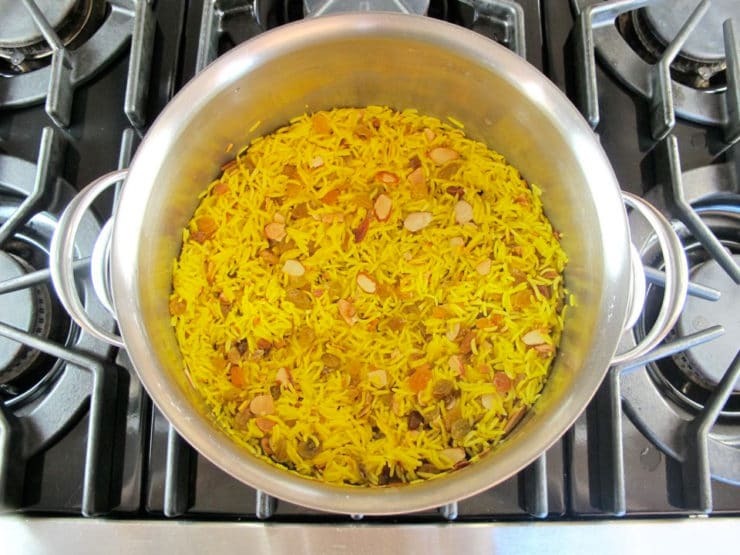 After, you’ll find a holiday recipe for Riz au Saffran – Saffron Rice with Raisins and Almonds – from The Book of Jewish Food. In The Book of Jewish Food, you talk a little bit about your family background, that your ancestry is Syrian and Turkish. Yes, three of the relatives came from Syria—on my father’s side his two parents, and on my mother’s side her father. One of my grandmothers came from Istanbul, and she spoke Ladino and French. Who would you consider to be your biggest culinary influences in your family growing up? Well, we had very cosmopolitan and mixed culinary influences. The major part of the family being Syrian, we were much more brought up with the Syrian style of cooking, but at the same time my own parents considered themselves very Europeanized. We spoke French at home, and so we did have French cuisine. There was also another influence which was Slovene Italian. I had a nanny who lived with us, she was Slovene. It was a phenomenon that nearly all the Jewish families in Egypt were brought up by women who came from villages that were Slovene Italian, and now many of them have reverted back to Slovenia. So the women cooked for us when we were small children. Our family had a cook, but when the cook wasn’t cooking the nanny cooked for the children… Those women had quite a big influence on the Jews of Egypt, because we learned Italian through them. They spoke to us in Italian. But lets say that my influence was primarily Syrian, but also Judeo Spanish of Turkey. The other was Moroccan. There were some relatives who married into Moroccan Jewish families, and even one who married into an Iraqi family as well. So this is why, when I wrote my first book, I didn’t just write about Egypt or Syria. It became natural to write about the Middle East in general, because in our community, and even in my family, there were Jews from all over the Middle East at that time in Egypt. It seems as though a tapestry of flavors converged in this area. At one time it was considered… Egypt, when the Suez canal was built… it became a land of opportunity. The people in the Ottoman– it was still the Ottoman times– were able to travel from one country to another without any difficulty, and so it was a magnet for people from various countries. The nanny story is so interesting. I’m curious, what are some dishes she might have cooked for you growing up with the Italian and Slovenian influence? There was, for instance, polenta, but the one recipe that I wrote about and gave her name is potica. Potica was a thing of Trieste. Trieste was the Italian city that was nearest to their village. Now, potica is one of the main iconic dishes of Slovenia. It is a rolled yeast cake with a filling inside. I have got it in The Book of Jewish Food. So tell me a little bit about Rosh Hashanah in your house growing up. What was a typical holiday like? For Rosh Hashanah, we had a whole lot of things that were symbolic. For instance, we had black eyed peas. That was a symbol of abundance and fecundity. We made it into a salad. They were boiled and then they had olive oil and lemon and spring onions (scallions) and parsley. Just a simple salad. Other communities did chickpeas. Also we made rice, because it was grain and represented abundance. We also had a lot of green things, because green symbolized a new beginning– all kinds of vegetables that were green that we made into a pilaf, like rice with fresh broad beans. We also would put green vegetables like courgettes (zucchini) in omelets, or as a gratin with fried onions, cheese, courgette and eggs. We also did quite a lot of stuffed vegetables including zucchini. Sometimes stuffed onions. It wasn’t a whole onion, but it was the inside leaves of the onion. We would cut open the onion, boil it, separate the leaves and then roll them up. 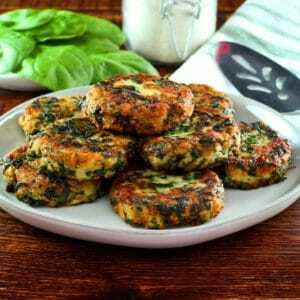 We also had vegetable fritters, like spinach fritters. And we did pies, but with fillings like chard, fava beans (broad beans), green peas, green beans, okra– all of those kinds of vegetables. We also made round foods, such as meatballs, green peas, and chickpeas, because they represented the year cycle. And we also did ring-shaped things, like ring-shaped pastries or breads with sesame seeds– sesame representing fecundity. You always wished for people to have lots of children. The New Year also represented sweet things. For instance, onions would be caramelized so that they would taste sweet, and they would cook meat with sweet fruits or with fruits like prunes, dates, quinces, apricots and sometimes a bit of honey. Sour cherries as well. So this way of cooking meat with fruit was something that was used at the time of the New Year. And then there were all the sweet desserts. One thing we always had on the table was pomegranate seeds because they represented fecundity. 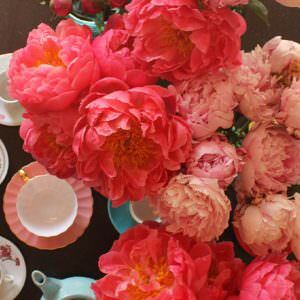 We would sprinkle them with a bit of orange blossom water, or rose water, and some sugar. That’s my step-daughter’s favorite tradition at Rosh Hashanah. She loves them. She always looks forward to the pomegranate seeds. Yes, they’ve become very fashionable now, which is nice. We also did quite a lot of fruits stuffed with nuts or dates and soaked in syrup, because of course sweetness was important. And we had jams made with quince, figs, dates and apples. Of course apples have always been very important. The tradition of eating apples and honey, and making desserts with honey, that was very important. At that time, when you didn’t have meat, people would make milk puddings. If they had meat, they would have something white, because white things evoked purity. And every year my mother made coconut jam. She would make jars of it and give them away. We also did golden pumpkin jam because gold evoked joy and happiness. And saffron, for the golden color. 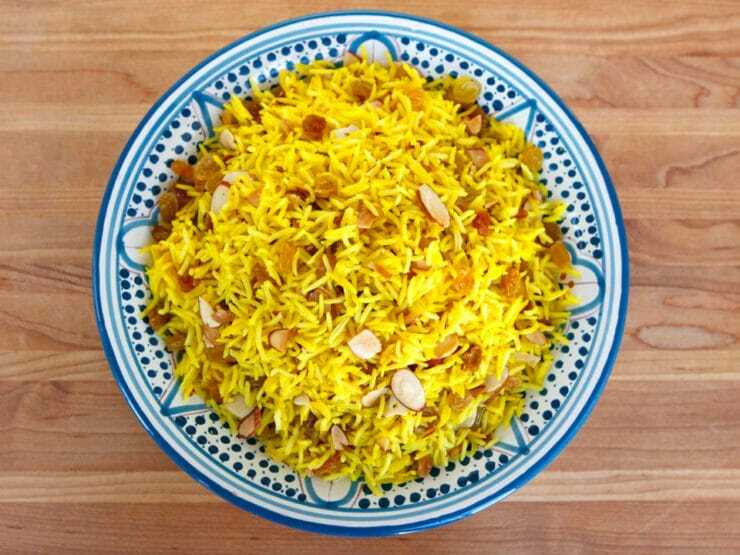 Saffron rice. I read in The Book of Jewish Food that you dipped apples in sugar instead of honey. Was that a regional thing? Yes, somehow it was a habit that came up, we didn’t think of honey. Although, we did eat honey on quite a few occasions. In fact, one of the dishes that was very popular at the time was a kind of bread cooked in honey. Actually, sugar syrup with a bit of honey. That was not maybe so common, for that period. But yes, we dipped apples in sugar. How did you decide to pursue a career in food? What was that journey like for you? Well, I was an art student in London. I had been an art student for two years, when suddenly the Jews had to leave Egypt in 1956 because there was the Suez crisis. France and England asked Israel to join them to attack Egypt. They did, and they bombed, and in retaliation Gamal Abdel Nasser, the president, threw out all the Jews who didn’t have an Egyptian passport. Many of them didn’t. Many Jews had foreign passports. We had Egyptian passports, but Egyptian Jews had their businesses sequestrated. Some of them had been nationalized already, but they were suddenly threatened with going into internment camps– the men were. And so people became afraid and they just left, especially as the war with Israel wasn’t going to be stopping. People just got scared. Some of my relatives were given a week to leave, and had to leave everything behind. It was a big exodus of Jews from Egypt. At that time my parents came over (to London). It seemed that the whole of my community had come out, and a lot of them were passing through or staying in London. My mother was always putting up mattresses in case they came for a few days. They were exchanging recipes, because we had no books at all. People were afraid that they were never going to see each other again. They didn’t know if they ever would, because people spread out all over the world and a lot of people came to America. A lot of people came to Latin America. Now in every country in the world there are Jews from Egypt. There was a feeling that I might never see you again, so give me a recipe that I might remember you by. We were exchanging recipes. At that time I had to leave art school to help my family. And collecting became my hobby, or more like an obsession. Everybody I met, I asked them for recipes. I became so hooked that I also started asking people for recipes of their relatives, what their best dishes were. When we were all in Egypt nobody exchanged recipes, we just kept them in the family. But once we left, we were very concerned with recording and keeping. It was our heritage, something we wanted to keep, if nothing else. When I traveled on a book tour in America, when the Jewish book came out, I went to all kinds of places. Sometimes bookshops, sometimes community centers. I met so many people from Egypt. Occasionally they were people who at that time were my mother’s age. They would say, “Don’t you recognize me? I’m your aunt. I gave you that recipe.” So a lot of the recipes in the book have always meant to me a great deal. 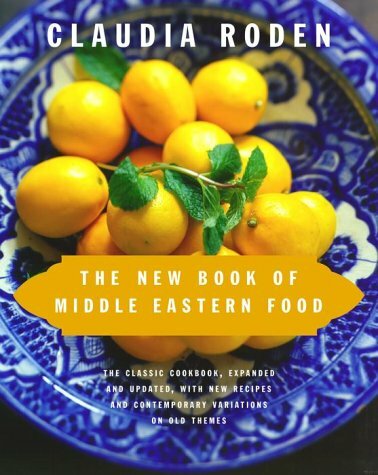 Some of them went into the Middle Eastern book (The Book of Middle Eastern Food), my very first book. And some of them went in as Jewish recipes. It was because of those recipes in my first book that my English publisher asked me to do a Jewish book. I thought, “Oh no. How am I going to find recipes with all the communities all over the world? It’s going to be impossible.” And it took me 16 years, in fact. I like to ask this of other people. I think with food writers it is almost impossible (to answer). For instance, with the Jewish book I cooked 800 recipes, and some of them several times. But with every book I have hundreds of recipes. Now I’m doing a lot of Spanish dishes (for an upcoming cookbook on the food of Spain). I make an almond cake now, which actually originated from the Jewish community in Spain, rather than my usual orange and almond cake. Everybody in England now is making the orange and almond cake, which is a Jewish recipe that was given to me by my sister-in-law’s grandmother from Syria, but originally from Spain. Nobody had ever put that recipe in print, but now it has become so common through my book that even the restaurants in Australia have adopted it. Also a chain called Prêt a Manger, they have adopted it here. In their publicity, they say the recipe comes from Nigella Lawson. But in her book, Nigella Lawson says the recipe comes from Claudia Roden. What a wonderful feeling it must be to see a dish become part of the culture that way. Very gratifying. Very happy. You know it makes you feel really good. And I always think of the grandmother who gave me the recipe. She came to visit her granddaughter, and because I was researching recipes she wanted to cook. The first thing she did was go out and shop to cook. And she made a whole lot of things, and I took them all down, including the orange cake. Now every time I see that cake, I think of her. I asked Claudia if there were any dishes she’d like me to share for the holidays. 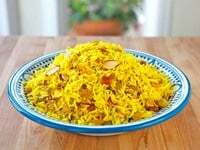 She mentioned a few, including this recipe for Saffron Rice. While it can be made without fruit and nuts as a plain side dish, she told me that during the holidays her family added raisins and toasted almonds. The recipe appears in The Book of Jewish Food, with a few variations offered. Claudia suggested the preparation I’ve given below, which is perfect for the holiday season. I made the dish as written, substituting a yellow vegetable broth for water. 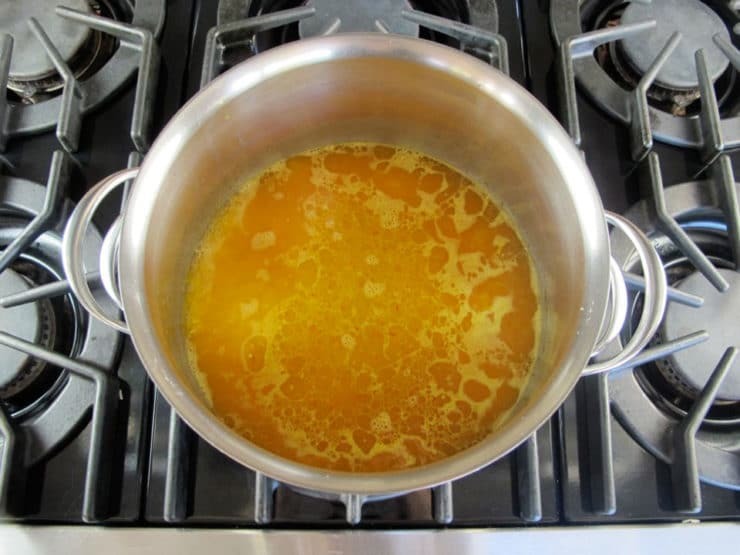 You can also use chicken broth, if you’re not worried about keeping the dish vegetarian/vegan– chicken broth gives a wonderful flavor to this rice. I’ve provided the sweet variation that Claudia suggested below. 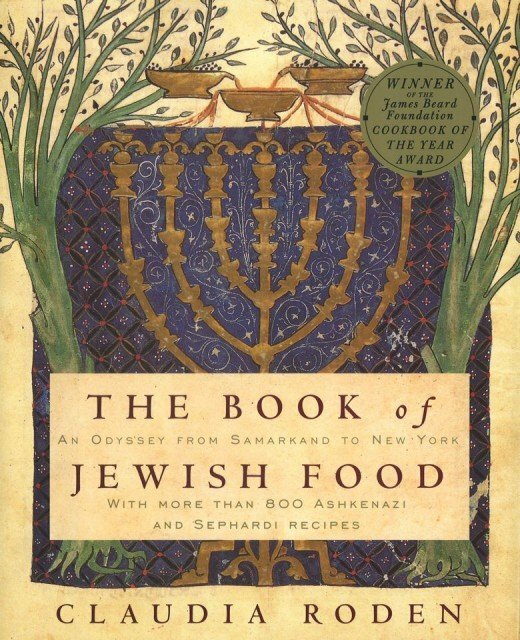 Other variations can be found in The Book of Jewish Food. 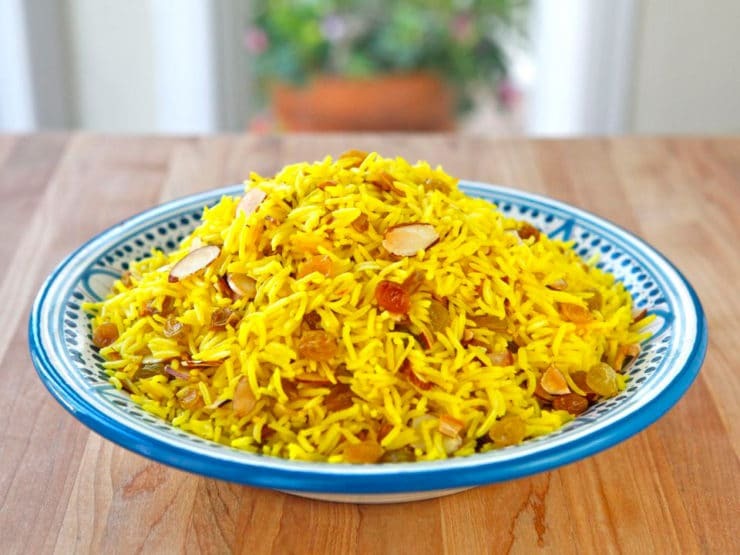 The rice is naturally gluten free and healthy, a festive and beautiful side dish for Rosh Hashanah or any holiday! I’d like to thank Claudia Roden for taking the time to speak with me. Her books are like pleasure reading for me, in the sense that I can sit for hours, reading them in my living room, without ever setting foot in the kitchen. They are full of stories, remembrances, and fascinating anecdotes that draw you into the cuisine. I am grateful for Claudia’s work, and I look forward to her upcoming cookbook on the food of Spain. 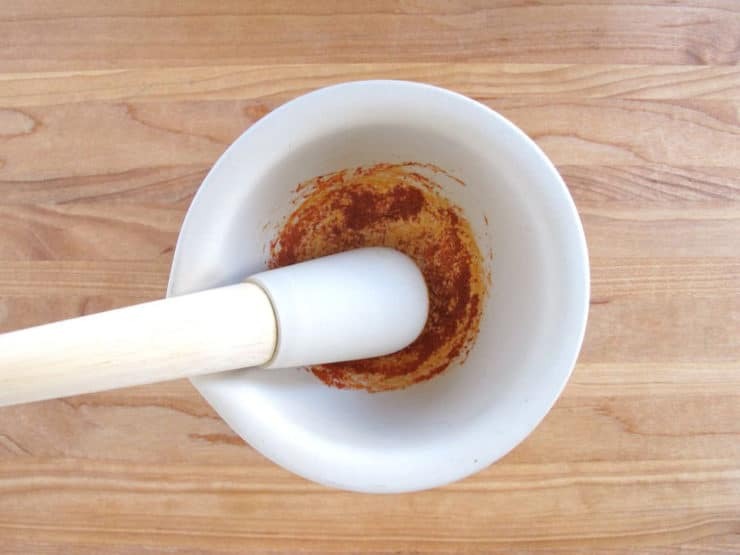 Grind the saffron threads in a spice mortar to a powdery texture. 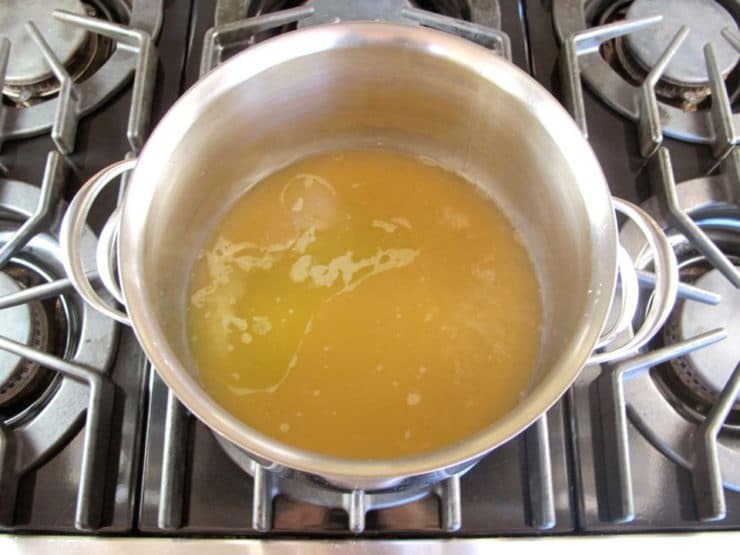 In a large pot, bring the water or stock to a boil with the oil and salt. 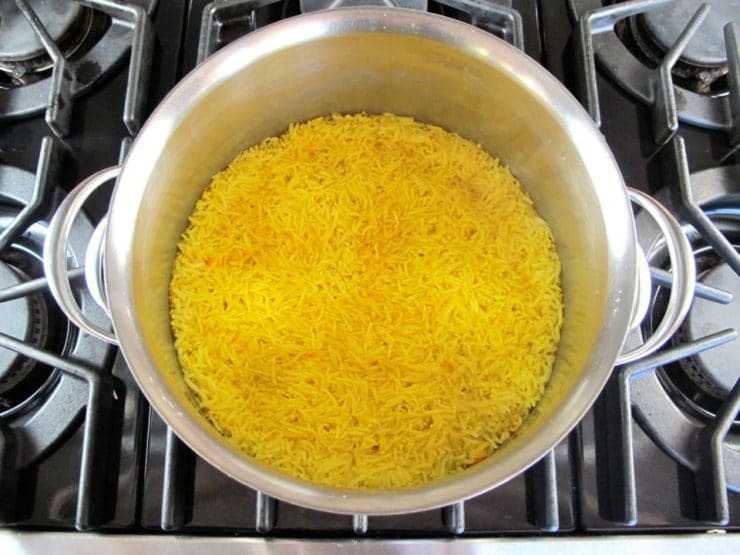 Add the saffron and the rice to the pot. Let the mixture come to a boil again. Stir well, then set the heat to low. Cover the pot with a lid. 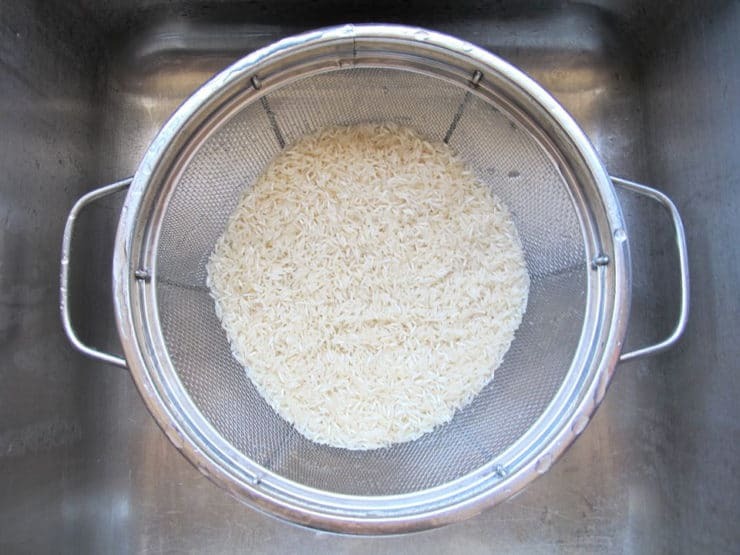 Let the rice steam over low heat for 20-30 minutes, or until rice is tender and little holes have appeared on the surface. Remove from heat. Leave the rice to rest covered for a few minutes. 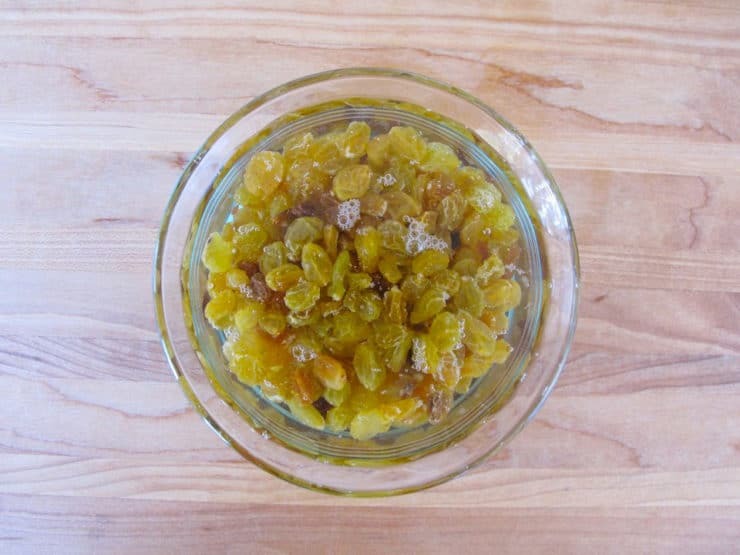 Meanwhile, cover the raisins with hot water for a few minutes till they become moist and plump. 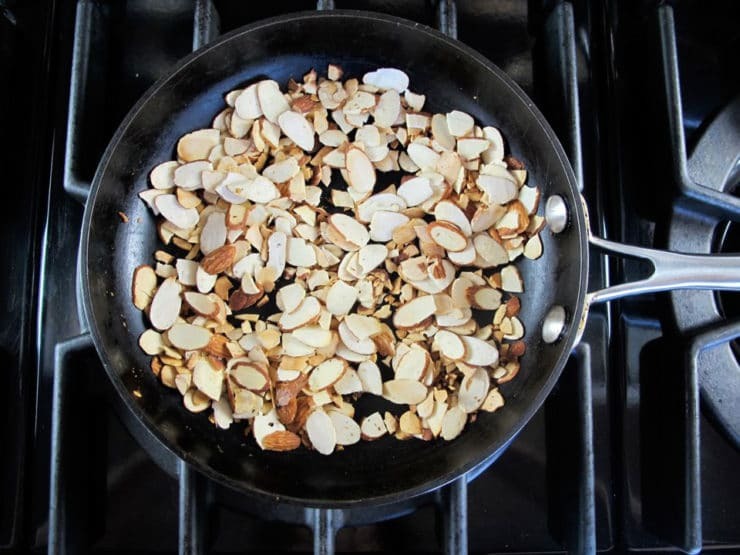 Toast the sliced almonds in a skillet over medium low heat, stirring constantly, till golden brown and aromatic. Keep a close eye, the almonds will burn if you don't watch them. You can also toast them under the broiler, as Claudia suggests. Drain the raisins. Use a fork to fluff the rice, integrating the drained raisins and toasted almonds as you mix. I tried this recipe twice. The first time, I followed the recipe using almonds. The second time, I used pecans (instead of almonds). I shelled them, gave them a bit of a rough chop, and toasted them in the pan as described. It worked out quite excellent. I loved this interview!! What a beautiful lady… Thanks for sharing, Tori! Wishing You Both a Sweet New Year ~ L’Shana Tova! I love the quote. Recipes are like having old friends and long gone loved ones in the kitchen with you. Shana tova. I love that too. Some recipes and treasures of the heart – to love forever.